Nepal is one of the most popular travel destination in Asia. Nepal is a beautiful Himalayan country located between India and China in south east Asia. Nepal travel / Travel in Nepal give you great opportunities to explore of the beautiful valley, cultural tour, Nepal trekking, Nepal rafting , Nepal jungle safari tour, Nepal Himalayan expedition and other more package trip. Nepal is a land of sublime scenery, Religious both Hindu and Buddhist temples, deepest gorge in the world - known as Kali Gandaki gorge, highest lake known as Tilicho lake, Birth palace of Lord Gautam Buddha, one-horned Rhinoceros, Ten world heritage sites, eight out of ten highest mountains in the world and some of the best challenging hiking and trekking trails on earth. 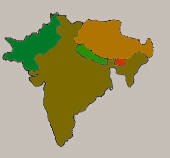 Nepal has a rich biologically and unique geographical position and latitudinal variation. The elevation of the Nepal ranges from 60 m above sea level on the south to the highest point on earth, Mt. Everest at 8,848 m in the north, all within a distance of 150 km with climatic conditions ranging from subtropical to arctic as well as eye-catching geography is also one of the richest cultural landscapes anywhere. Nepal is an combination of ethnic groups and sub-groups who speak over 100 languages and dialects. Nepal is consider as the country with more temples than houses and more gods and goddesses than the people. Kathmandu is capital city of Nepal. NTravel in Nepal is life time journeys with Nepal package tour, Trekking in Nepal Himalaya, Peak climbing in Nepal, Nepal river rafting adventure , Jungle safari tour in Nepal , Kathmandu valley tour , Hiking in Nepal and other popular adventure trip in Nepal. Naturally Nepal once in not enough thus Thousands of travelers visit in Nepal every year for trekking in Nepal, mountaineering in Nepal, sightseeing in Nepal and other adventure package trip in Nepal. Nepal is landlocked country surrounded by snowy capped mountains and hills so Nepal is one of the popular trekking destinations in Asia. Nepal has several option to reach this beautiful country either overland journey from India, China Tibet or by flight from all over the world. After successfully climbed the Mt. Everest by sir Edmund Hilary & Tenzing Norgey Sherpa 29th May 1953, Nepal become one of the most popular land in the earth travelling in Nepal. For Travelers easiness , simply find out via Nepal travel guide book or Nepal lonely planet guide book to choose any Nepal package trip . 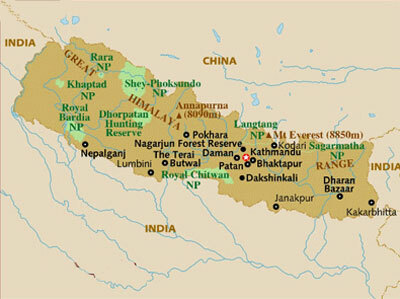 Nepal general information required for those who entirely desire visit in Nepal . Since established of Apex Nepal Adventure Pvt. Ltd providing Nepal travel information for respected travelers in each and every step to turn their dream in to the Reality ! .